Park in parking lot on the right side of the school. Field #1 is the field closest to the school. 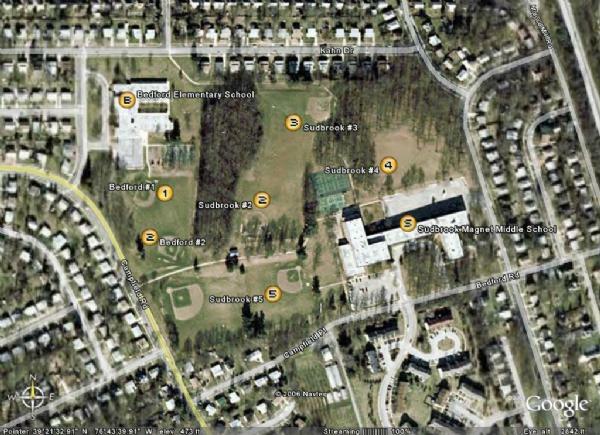 Click here for a satellite map of the Bedford and Sudbrook fields.